Eliminate paper-based HR processes and manual administrative human resources tasks by setting up Talent Center. 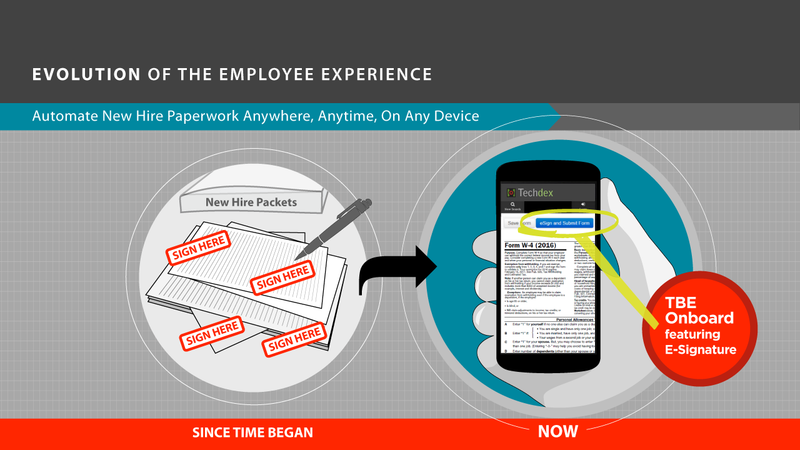 Automate and use e-signature for all new hire and employee paperwork packets. Enable employee self-service for employee data updates like address and phone number changes. Responsive design works from any device: smartphone, tablet, or traditional computers. Customizable themes, branding and logos. Rename “Talent Center” at your discretion. Configurable content gadgets allow personalization and customized content. Auto email recovery saves HR team from having to respond to forgotten password requests. Scalable platform grows as your organization grows. Greatly reduces manual HR tasks like updating employee addresses, phone numbers and other data by enabling employee self service via a secure web portal. Eliminates paper-based new hire and employee documentation by taking your existing forms, converting them to electronic versions, and enabling new hires and employees to complete them online with e-signature technology. TBE Talent Center saves time and reduces manual, paper-based processes, making your HR department more efficient. Modernizes the new hire onboarding experience. New Hire & Other Employee Paperwork is Now Completed and e-signed Online. Want a FREE Trial of TBE Talent Center, or to see a full demo? 21 days from now you could be automating manual, paper-based HR processes. 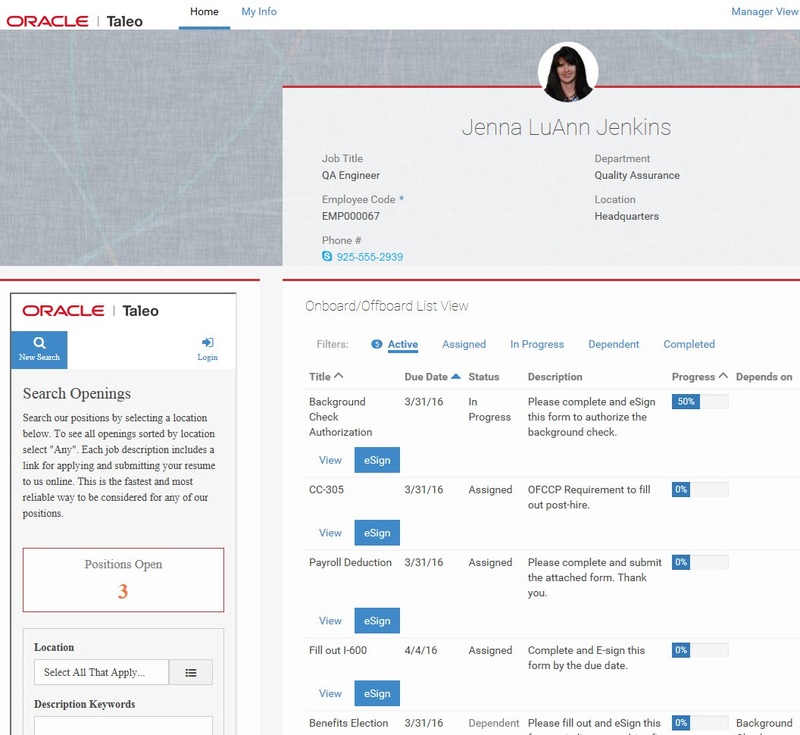 My Info tab on TBE Talent Center enables self-service updates of key employee data. Customize and configure what data is available for employee and staff to self service update. Email notifications available to alert HR, Managers, or other stakeholders when updates are completed by employees. Simple, easy to use interface does not require training. Ubiquitous pencil icons show employees which fields may be edited. Updated information is stored in the employee record. Supports multiple languages - content is delivered in the right language to the right employees. Employee self service saves HR team time and resources. Eliminates costly and antiquated manual human resources processes and administration. Reduces cost of employee administration. Improves compliance and employee data accuracy. All of your existing forms and employee paperwork are converted to online forms. Once logged in, employees & staff see all their activities that have been assigned. These can be onboard, offboard, or other employee lifecycle events requiring forms be completed and electronically signed. 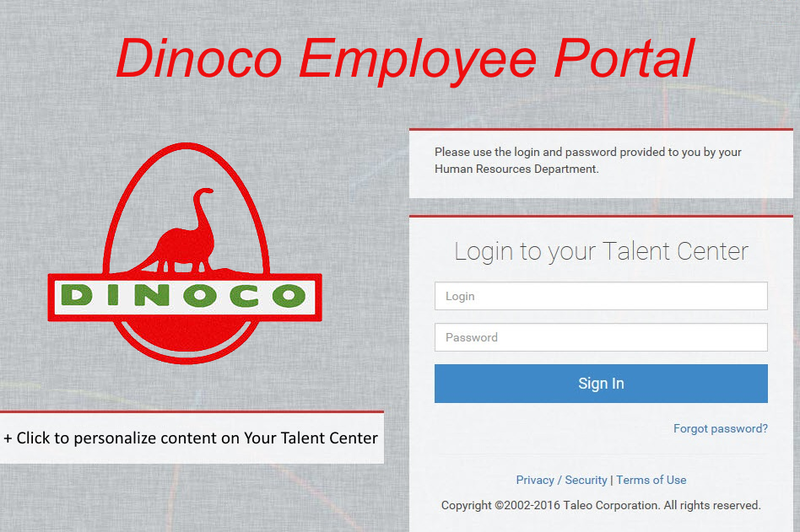 Enables all employees and other staff to complete all employment-related documents and forms via the TBE Talent Center portal. Forms, documents and packets are customizable by department and location. TBE Talent Center automatically assigns the correct packets based on locations and departments. 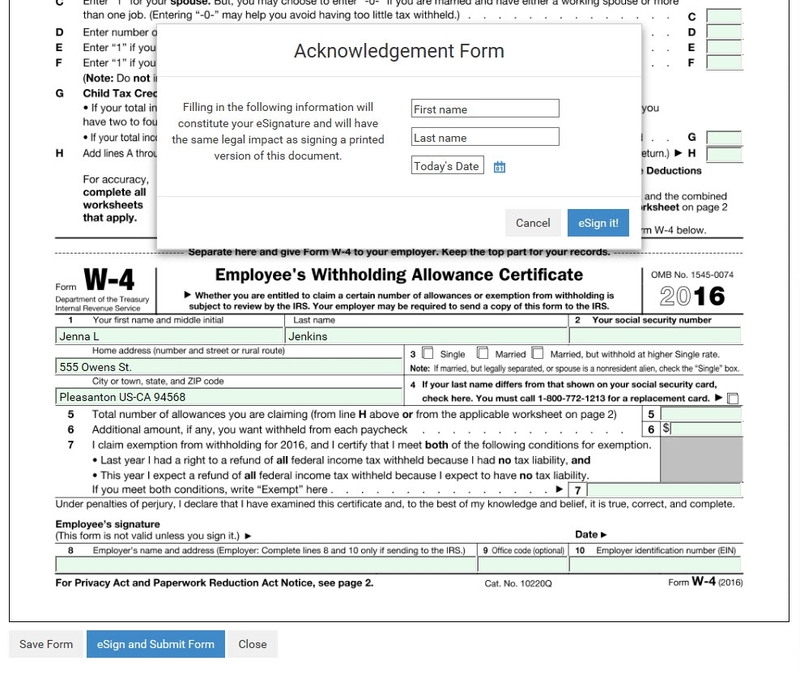 For example, employees in one state receive that state's tax forms automatically. Assign due dates and TBE Talent Center automatically emails reminders to ensure employee forms are completed by the due date. Not just for New Hire Onboarding: Use TBE Talent Center to manage all employee-lifecycle documents requiring employee and staff signatures. Need to update your IT Security Policy and have all employees sign? No problem, Taleo Business Edition Talent Center manages it all automatically. Taleo Talent Center is scalable and supports unlimited forms and packets. No more paper-based new hire packets or employee forms. Automate, improve and modernize your new hire onboarding experience. Saves time and HR resources by automating manual, paper-based processes. Improve compliance with required fields and signatures. No more missing information or missing signatures. Scalable automation of employee documentation keeps costs low as your organization grows. Keep employee files up to date automatically with all required documentation. Retrieve required employee documentation in seconds, without digging through hardcopy files.